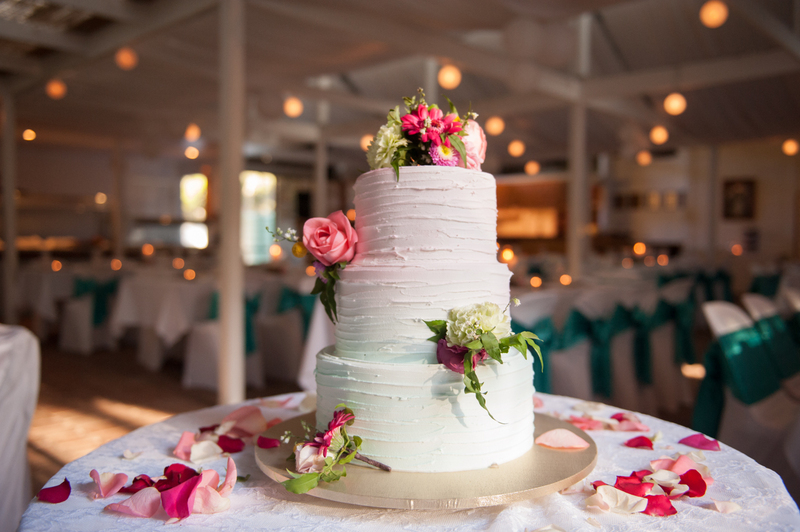 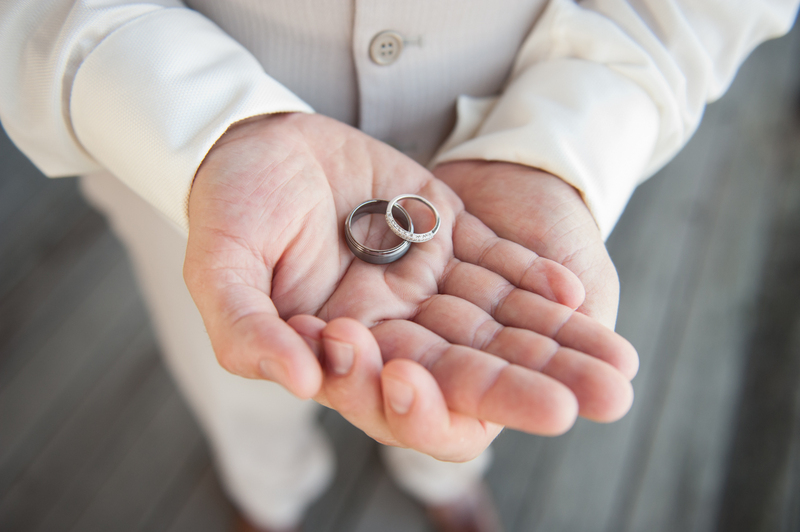 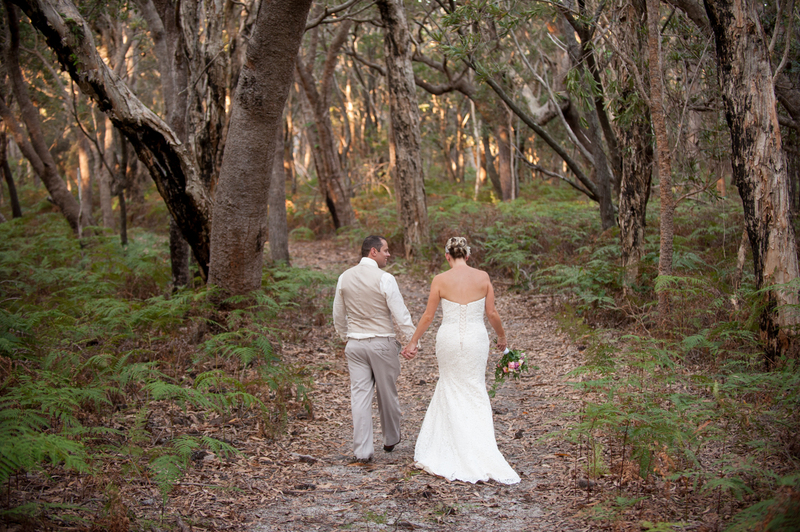 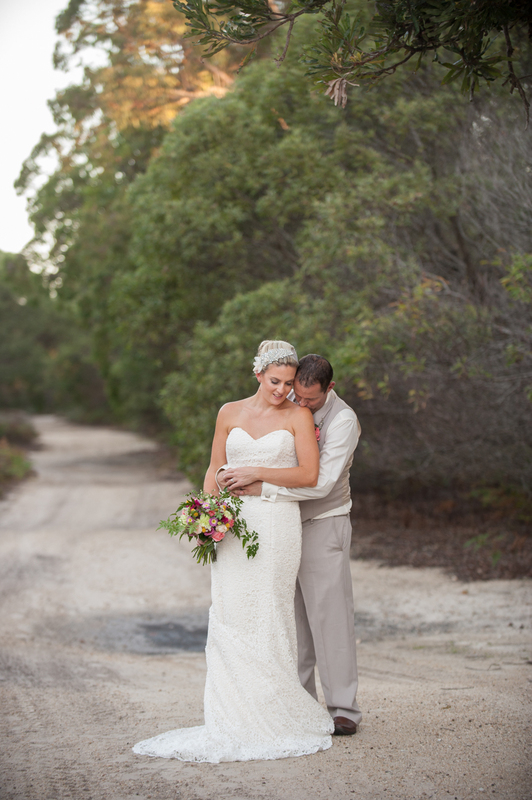 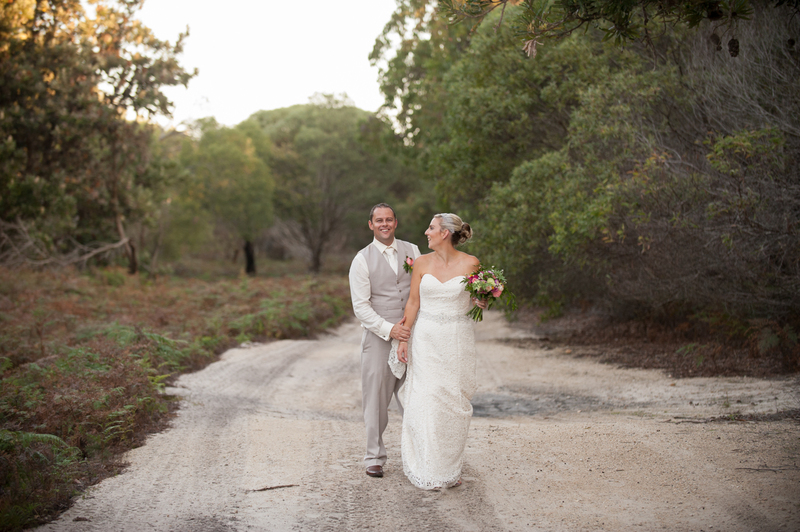 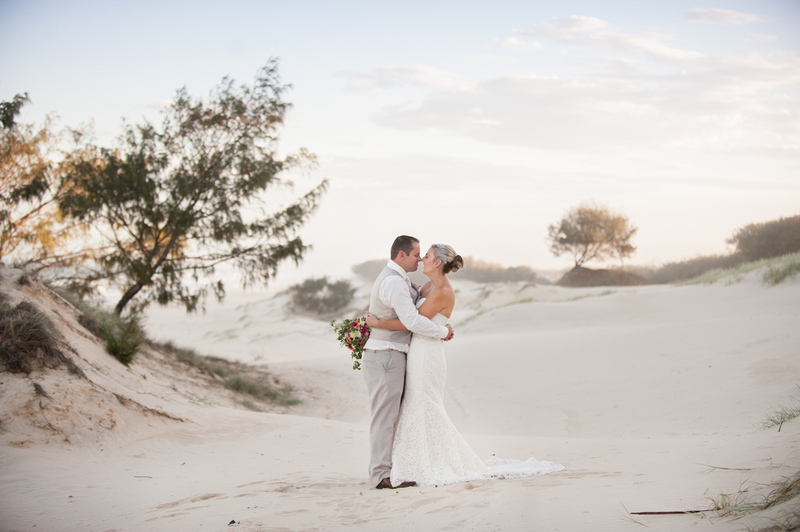 Melissa & Glen’s wedding day was incredibly beautiful! 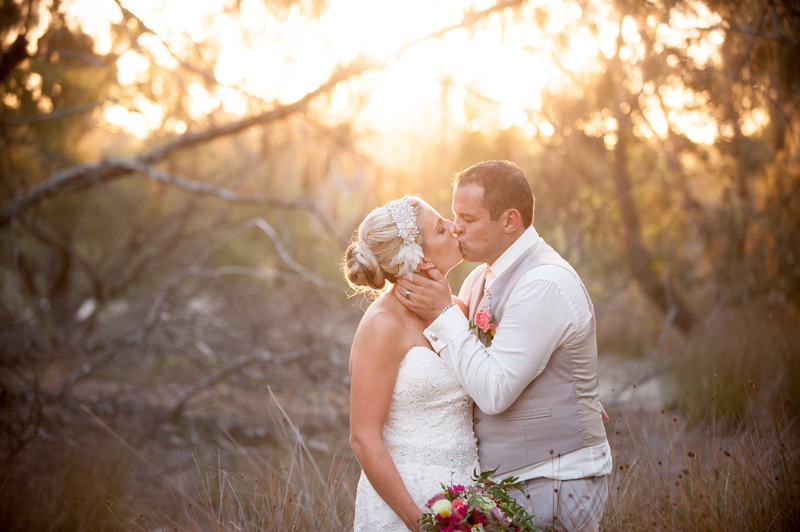 This sweet couple are very down to earth and just genuinely lovely and their wedding day was a beautiful reflection of their personalities. 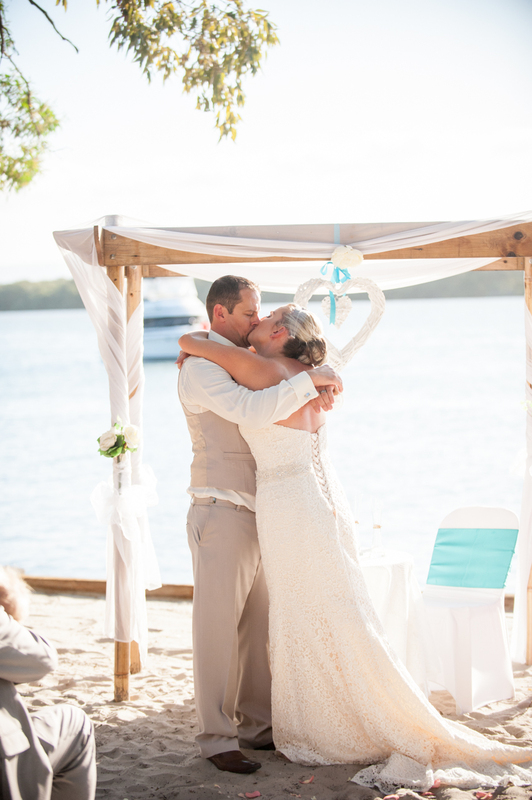 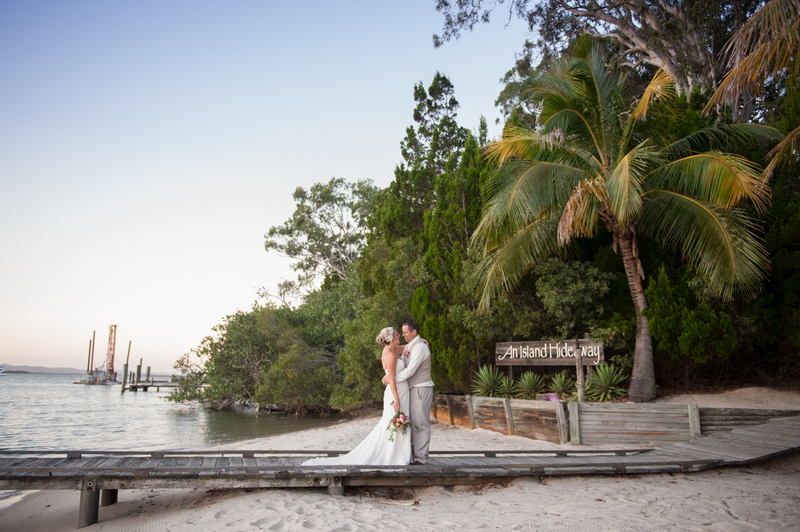 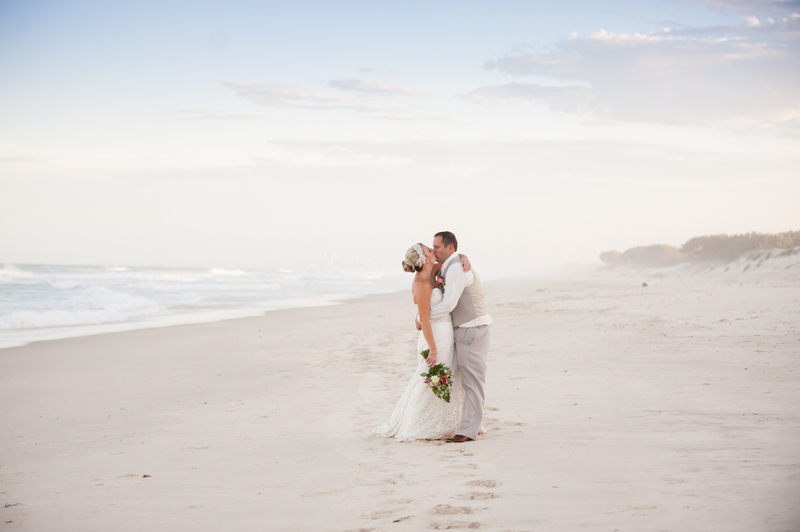 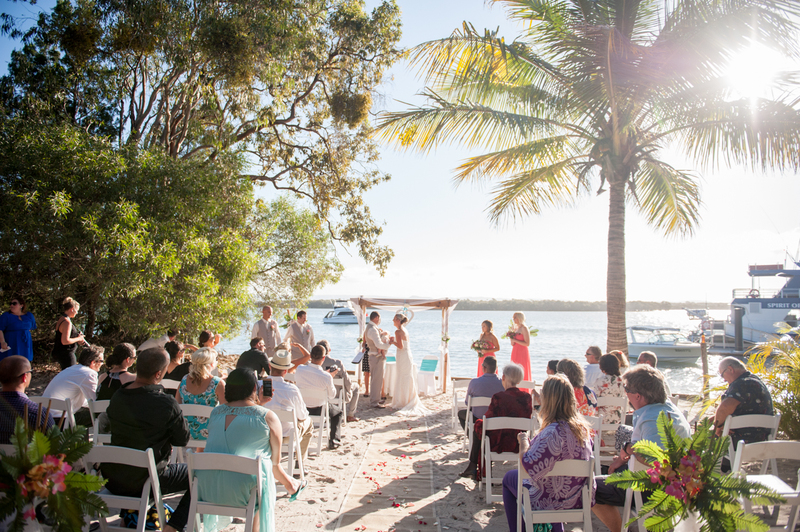 With the picturesque tropical setting of An Island Hideaway at South Stradbroke Island it was just perfect! 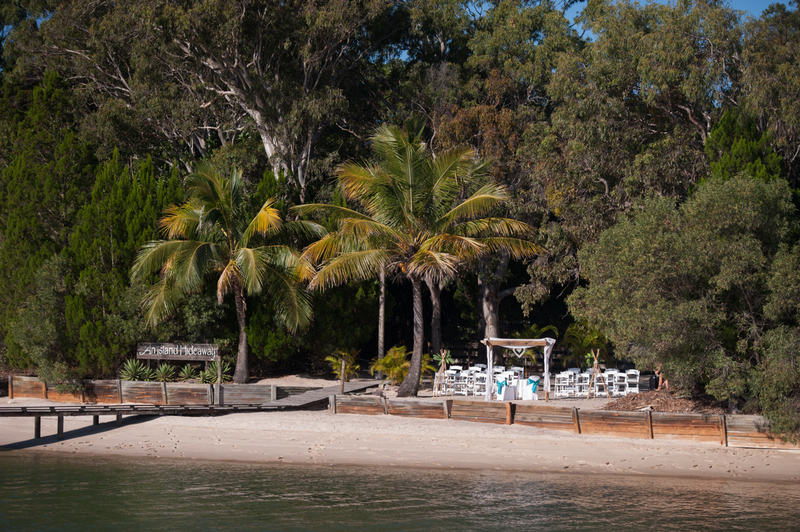 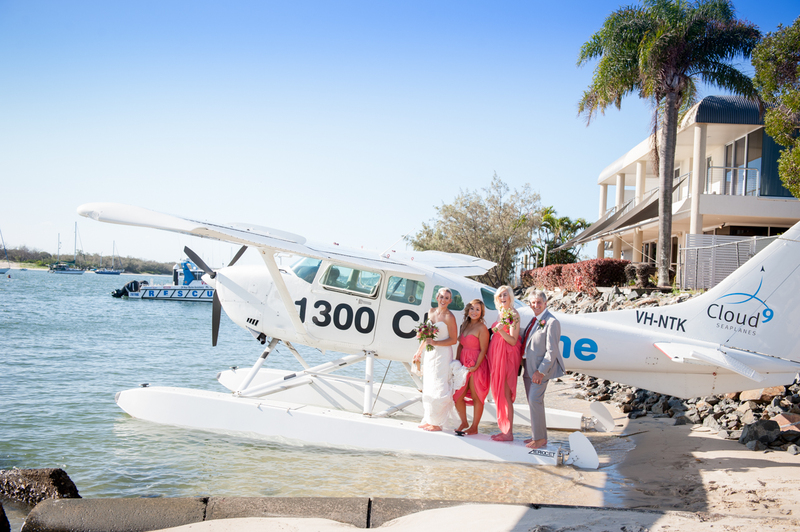 The island is just a short boat ride, or in Melissa’s case, a seaplane ride, off the Gold Coast. 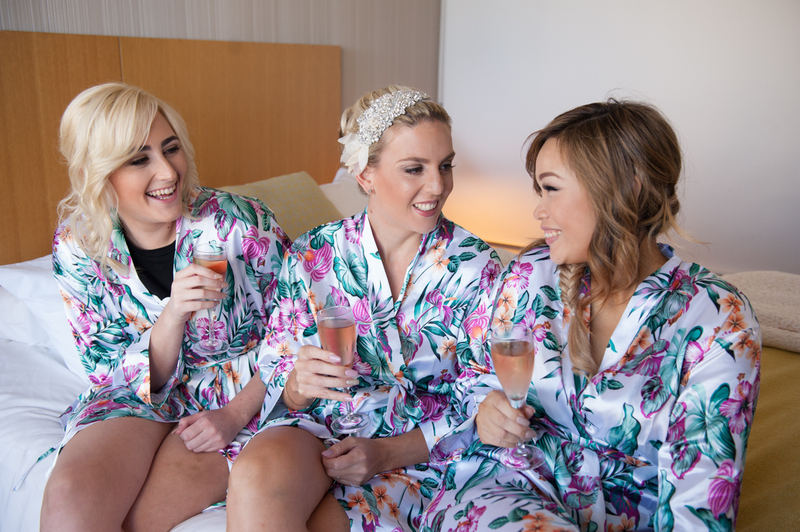 The girls got ready at a hotel, where we captured some pre-wedding photos of them getting ready. 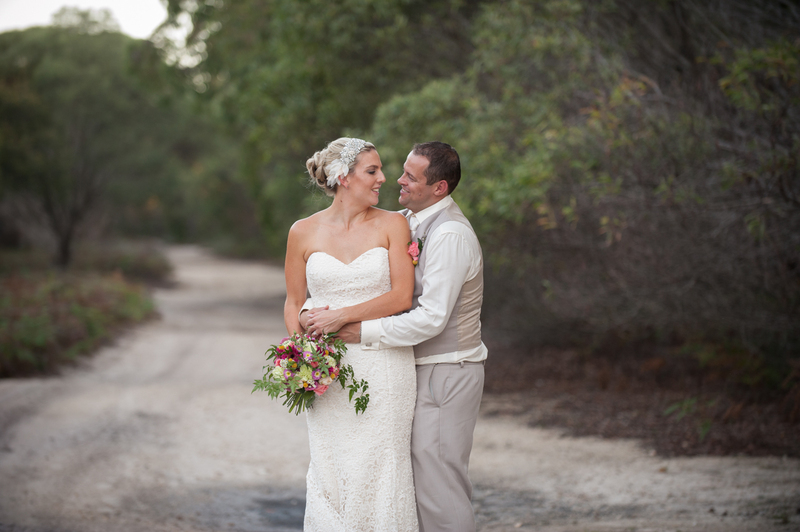 The bride wore a stunning sweetheart cut strapless lace gown, she looked incredible. 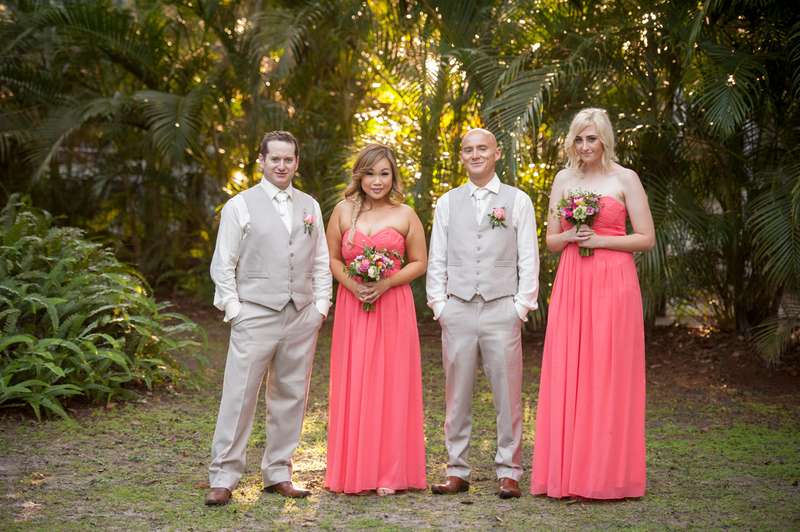 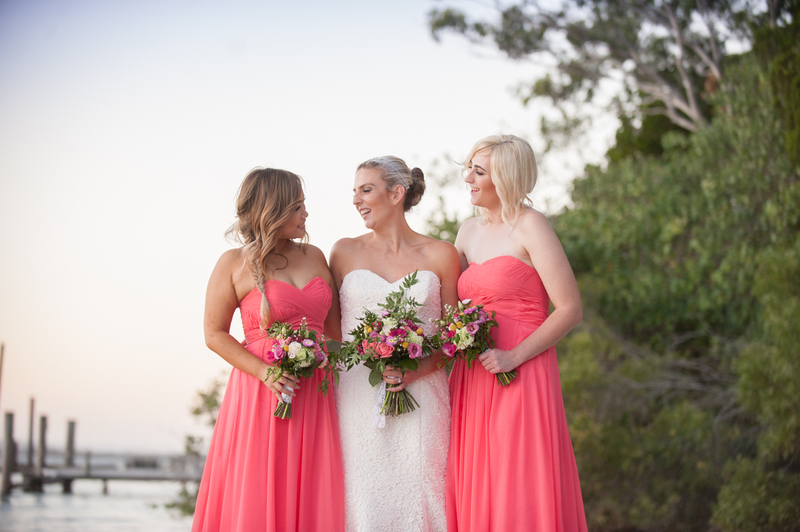 Her bridesmaid’s wore gorgeous salmon pink dresses. 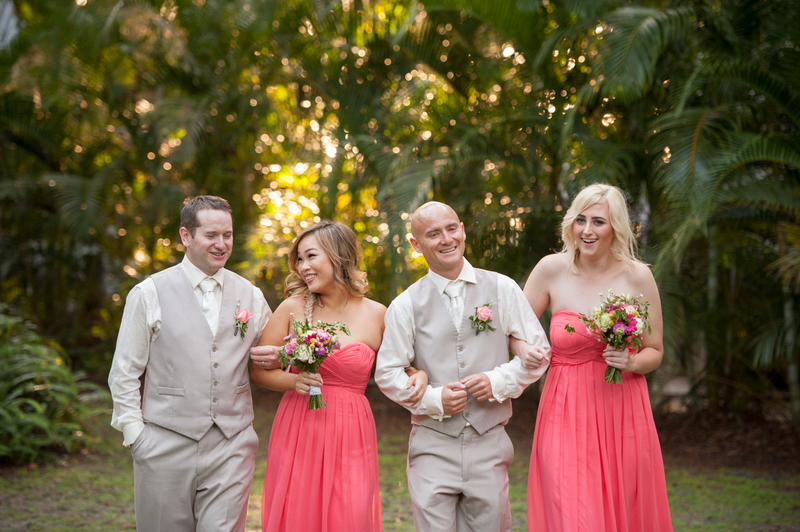 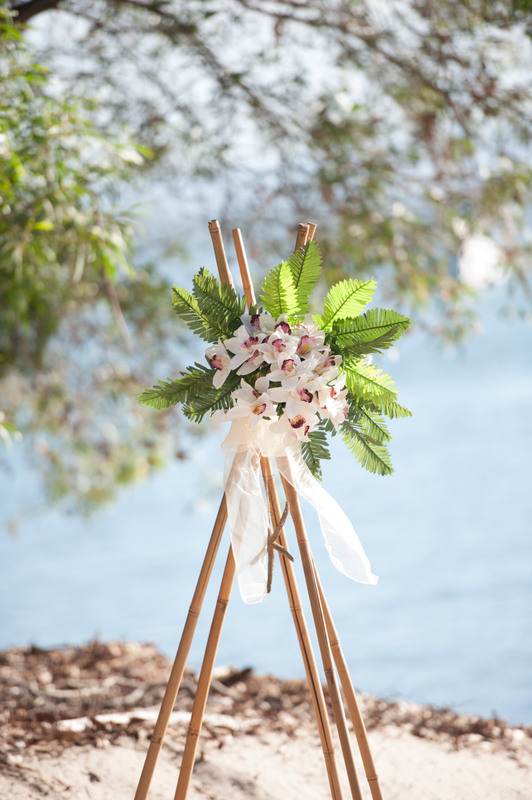 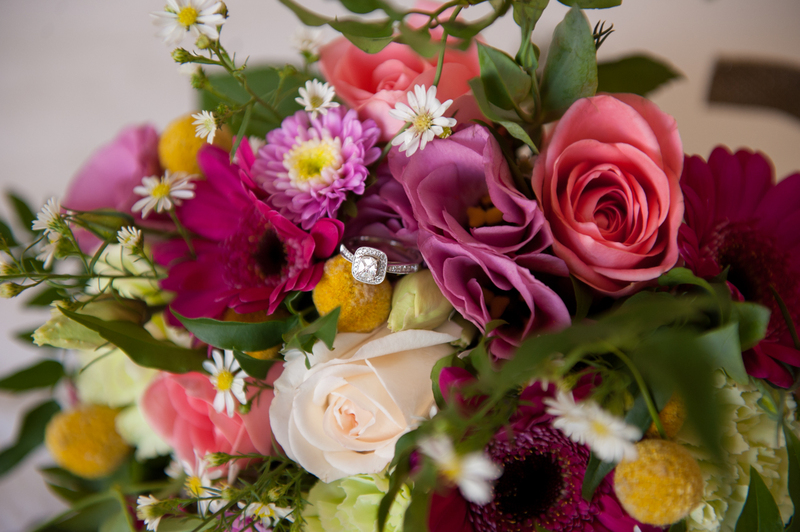 The bouquet’s were gorgeous pastel pinks and purples with lots of greenery, which we absolutely love! 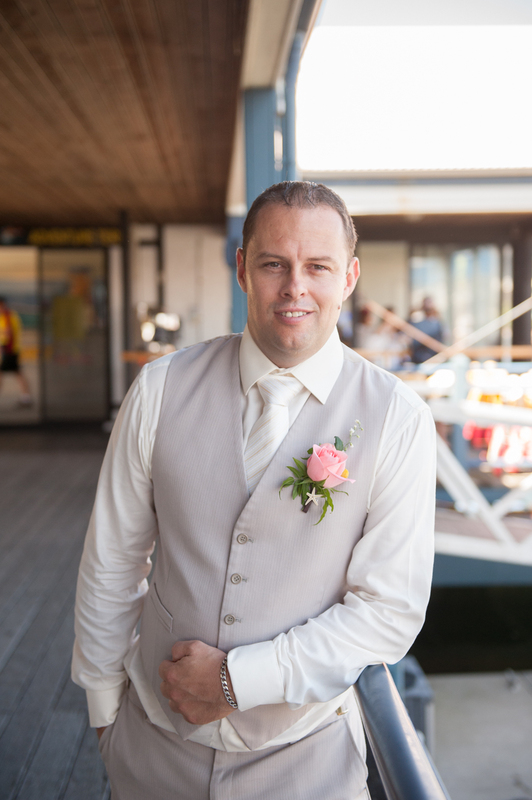 The groom and groomsmen met their guests at Fisherman’s wharf where they got a few photos before heading off on the boat to the island. 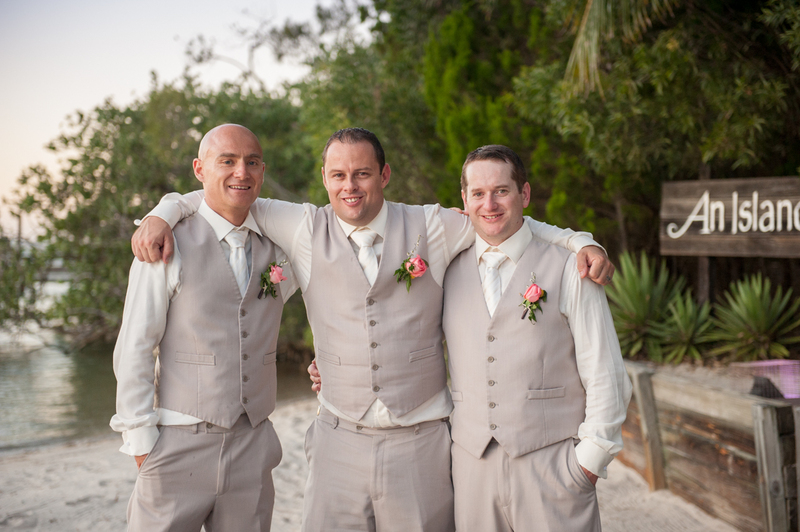 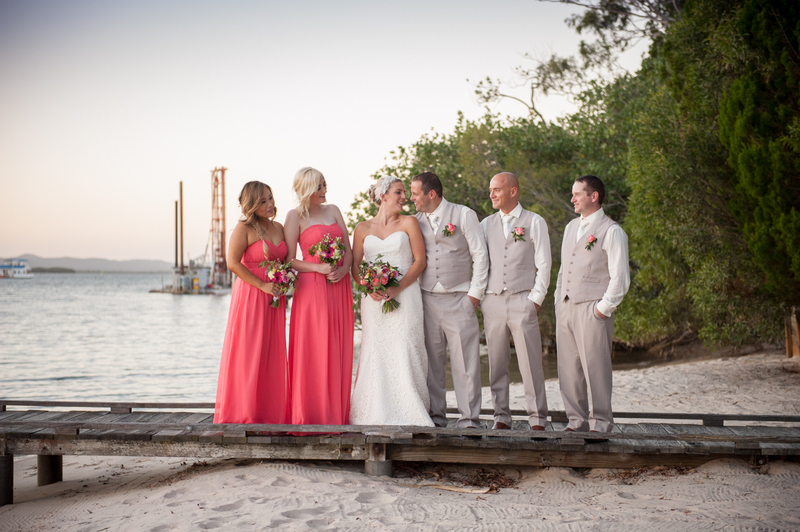 The boys wore sandy beige vest suits, which tied the entire bridal party together perfectly. 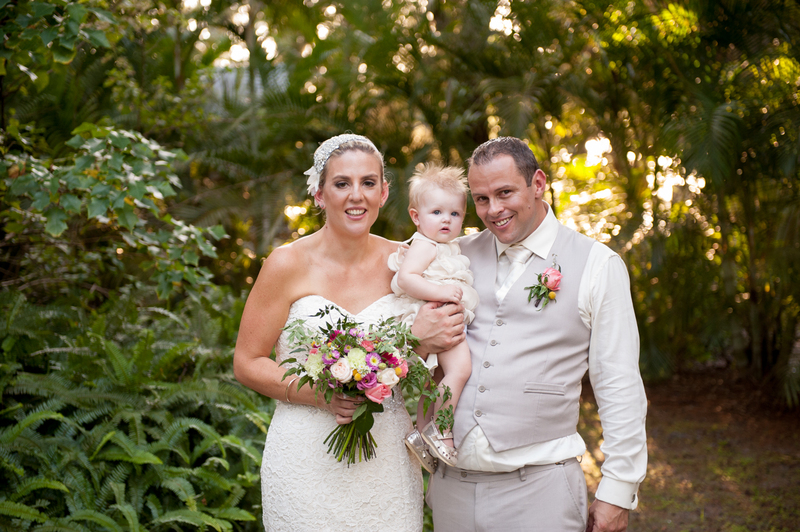 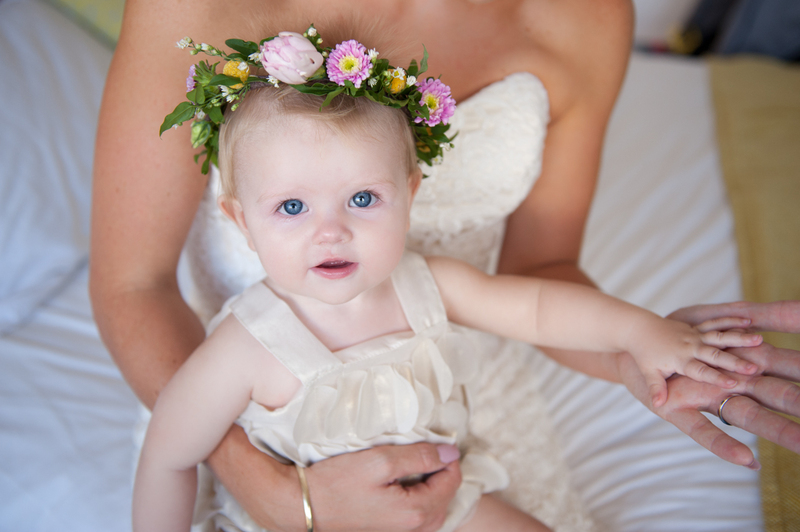 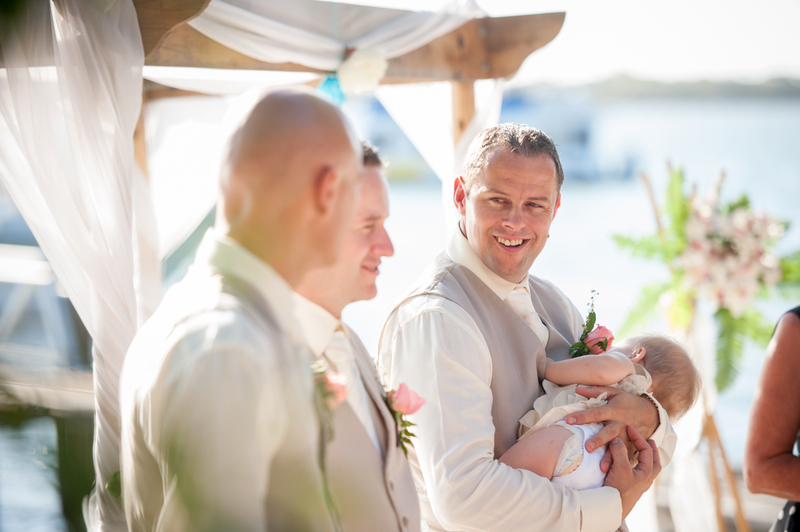 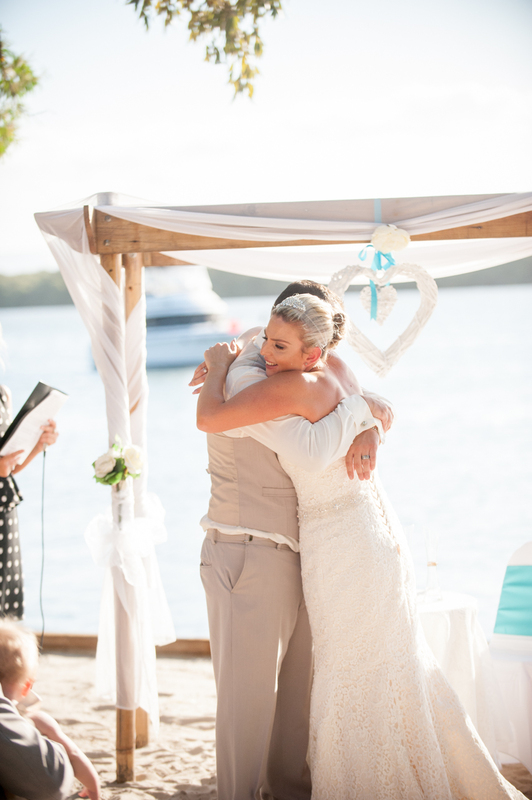 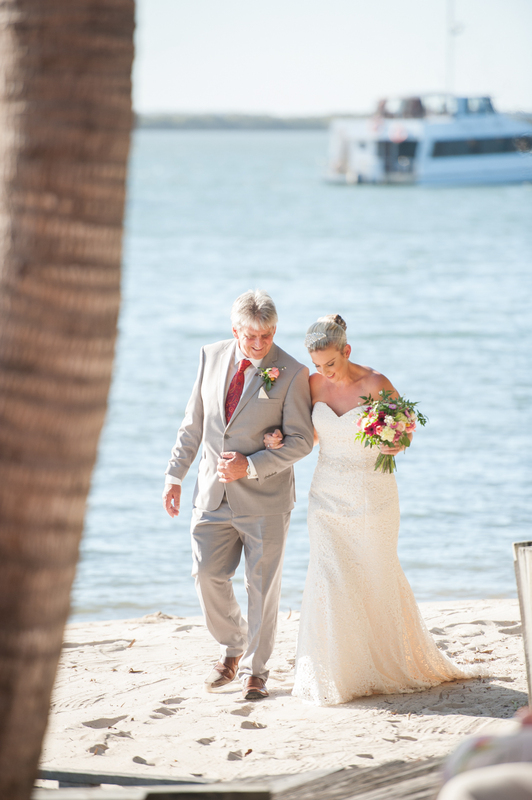 After arriving, it was so sweet to see their little daughter fall asleep in her daddy’s arms for the beachside ceremony, which was filled with love, laughter and emotion. 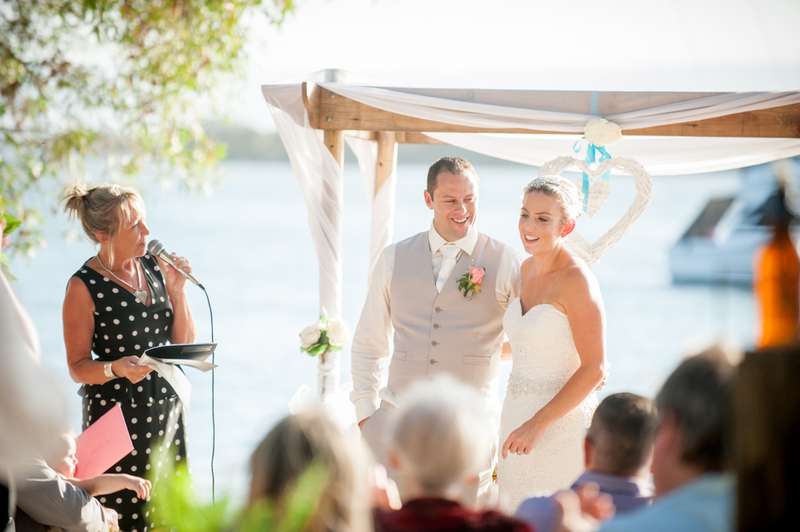 We love seeing a few tears of joy, especially when it’s because Mel absolutely took Glen’s breath away when he saw her! 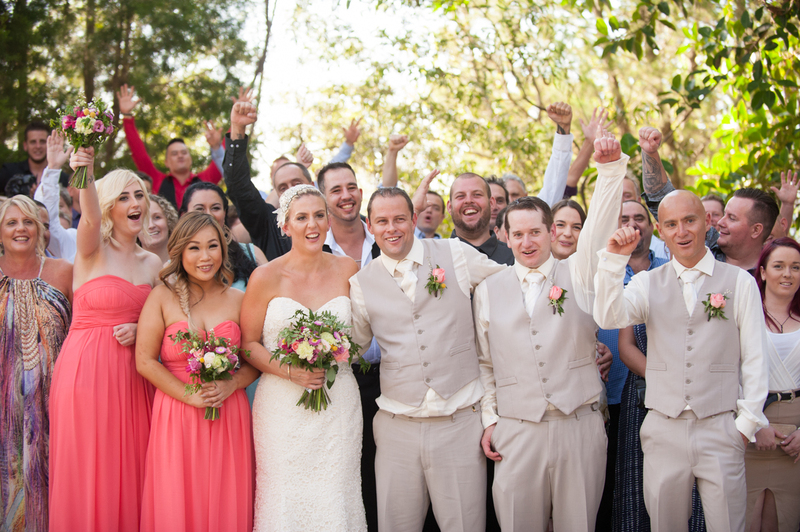 After the ceremony and congratulations, it was time for a few group and family photos. 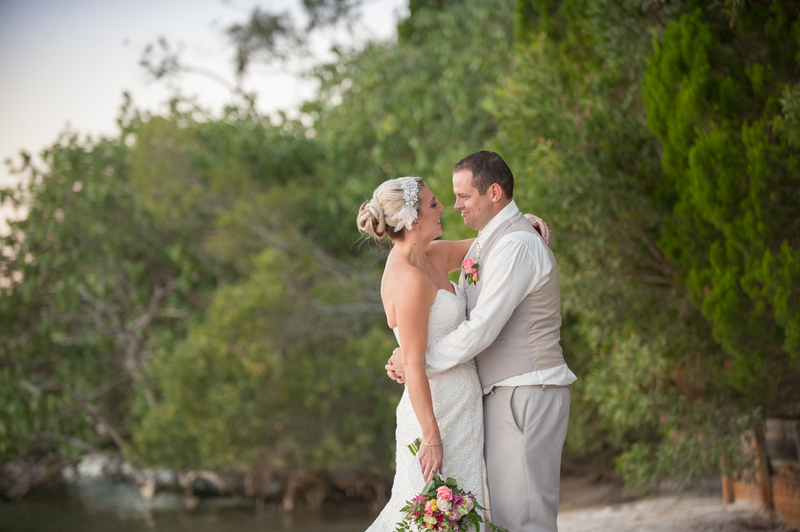 Then while the guests enjoyed music, drinks and canapés, the bridal party and the happy couple headed off around the island with us for their formal photos. 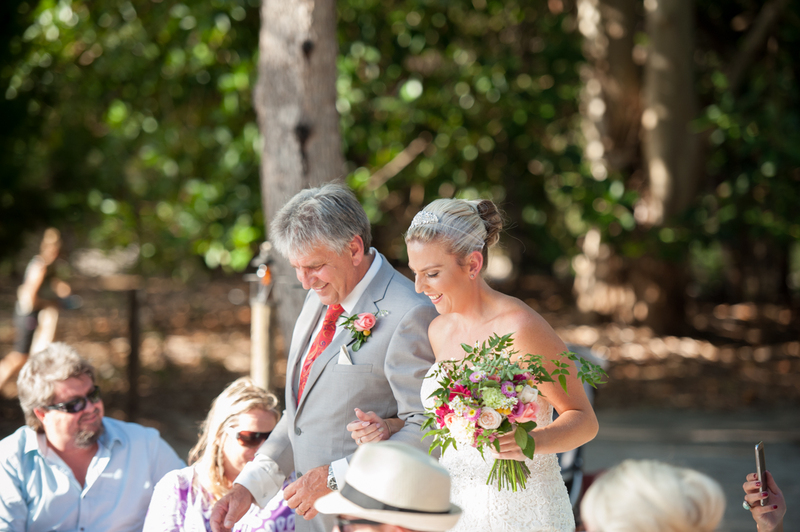 Then it was back to the Island’s bali style reception room for more celebrating and to dance the night away! 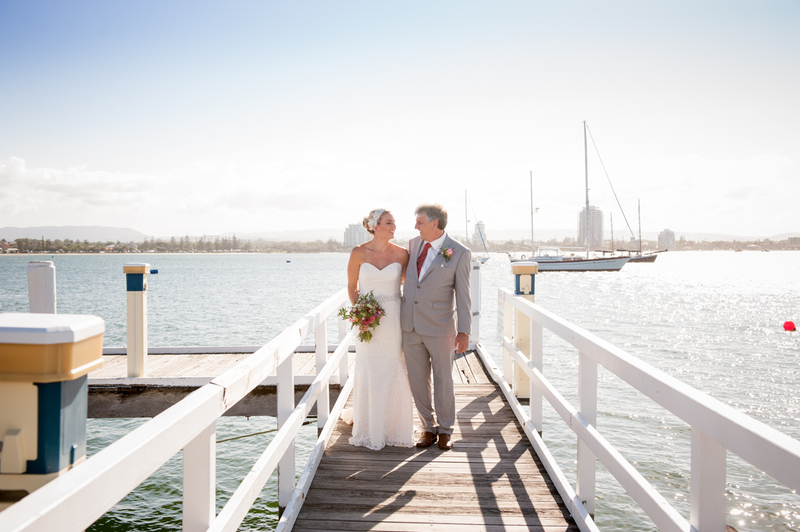 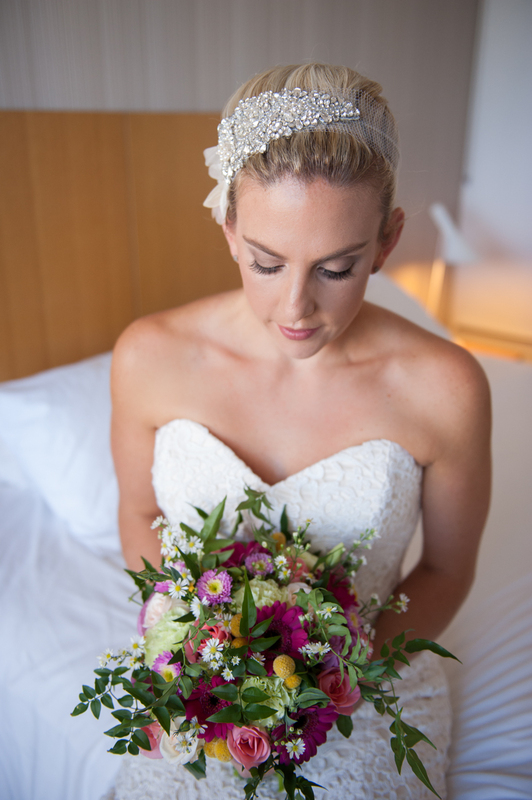 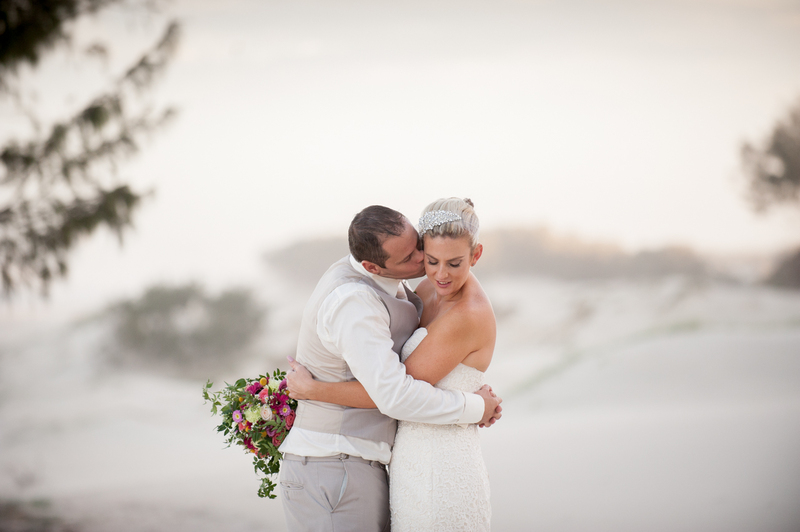 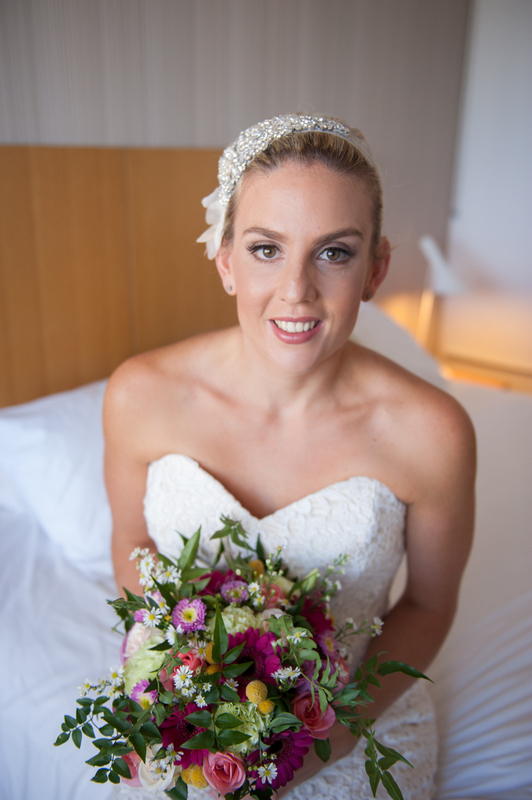 Thank you Mel & Glen for sharing your big day with us. 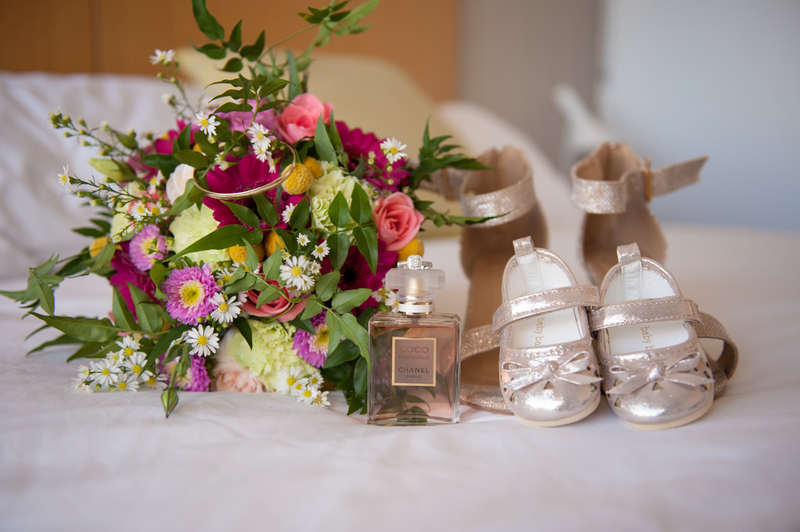 Congratulations, we wish you both all the happiness for your future together.